We’ve put together a few highlights of cafés and coffee shops you can find in Kettering and the local area. To find out more, click on the links to go straight to their websites. 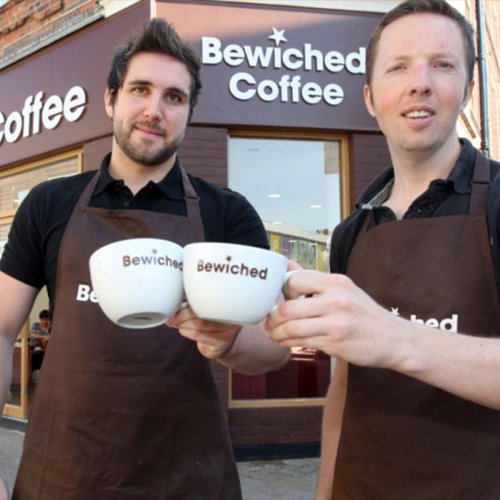 Local, independent coffee experts based on Kettering High Street with four other Coffee Houses in Peterborough, Corby, Northampton & Wellingborough. They also do fab milkshakes, hot chocolates, iced coffees, smoothies, iced ‘T’s as well as freshly made food ready to grab. 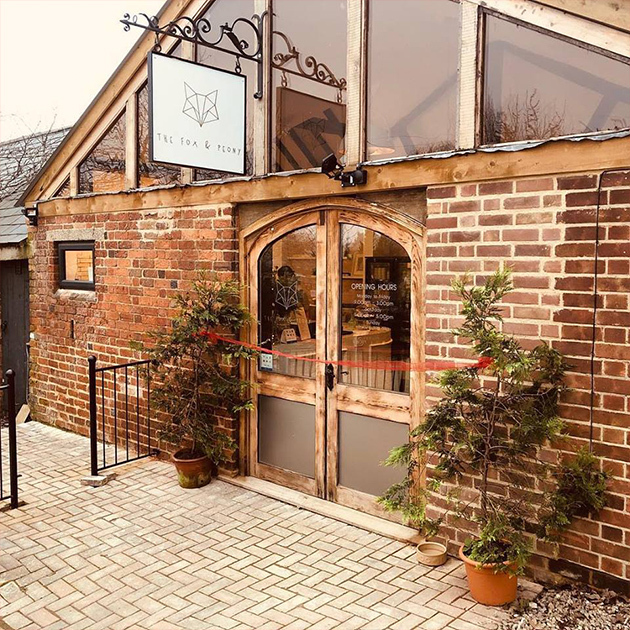 The Fox & Peony is a new café which has recently opened on the edge of Kettering at Glendon Lodge Farm. 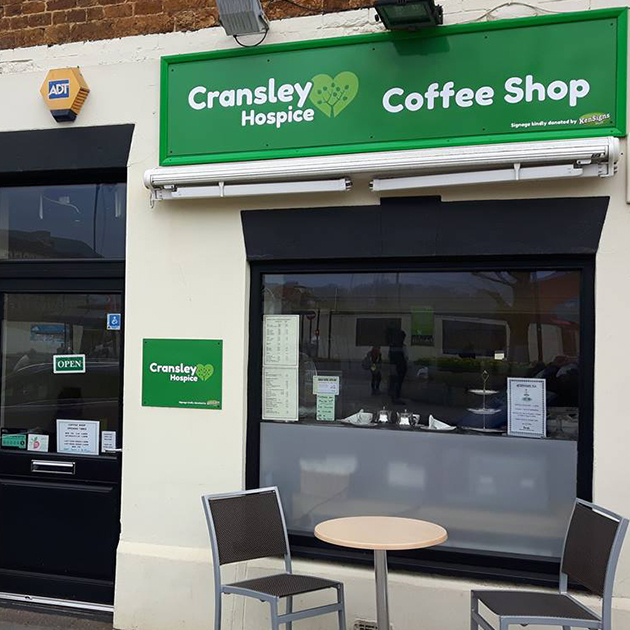 It serves locally supplied tea, coffee, and a wide selection of homemade cakes and sweet treats as well as soup, sausage rolls and breakfast baps. 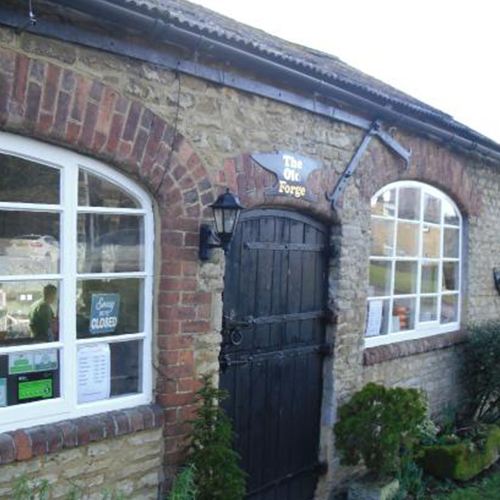 Just off the A43 on the north of the town, the café is dog friendly and right at the start of a number of popular dog walking routes. Kafe Bloc is a quirky and unique Bistro Cafe/Coffee shop which provides a haven in which to eat, drink and socialise! Look out for their homemade cakes and daily specials as well as loose leaf teas, freshly ground coffee, Snowdonia Cheese and freshly baked bread. They also hold a popular Monthy Tapas Night plus other themed nights, and are available for private bookings. 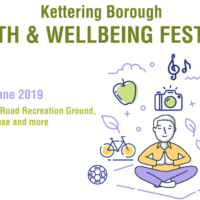 You’ll find Kafe Bloc in the ‘Cultural Quarter’ in the beautiful Piccadilly Buildings, opposite the Kettering Library and Alfred East Art Gallery. They hold an Eat Out Eat Well Gold Award for their healthy choices on offer. Head to Gold Street to treat yourself to a proper cup of fine tea and some gorgeous cake at a vintage tearoom, and indulge in some amazing new, vintage and retro goodies upstairs in their Vintage Store. 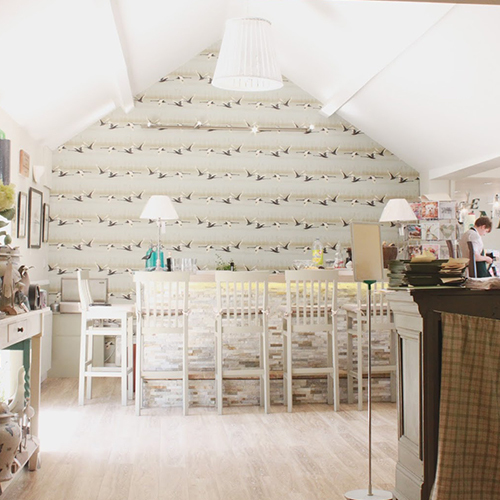 Vintage Fleur is open for breakfast, lunch and afternoon tea and the tearoom is available for private hire, afternoon tea parties, hen parties and events. They also offer wedding floristry and vintage crockery hire. They hold an Eat Out Eat Well Silver Award for their healthy choices on offer. If you’re in Desborough, Lucy’s Tea Room is the perfect place to drop in for a relaxing coffee, or a place to meet up with friends for a cream tea and gossip! They also specialise in personalised homemade cards, plus personalised keepsake boxes for weddings / christenings / birthdays etc. Homemade cupcakes and larger cakes are available to order for all occasions (birthdays / christenings / weddings etc). You’ll find The Blitz in the cultural quarter, quietly tucked away between the church and the library waiting to take you back in time to the bygone era of the 1940s. 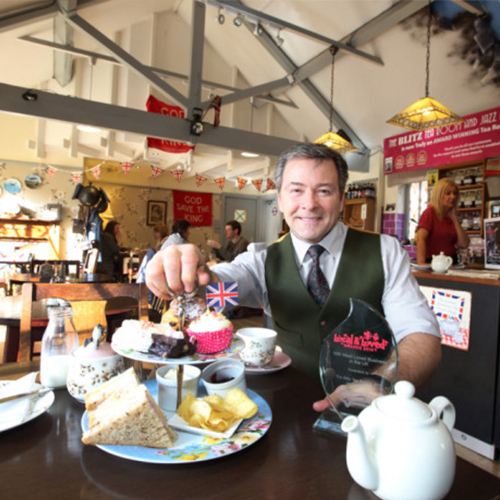 A themed interior with music from the era is the perfect setting to enjoy speciality teas and coffees, light lunches and afternoon teas. On Friday and Saturday evenings it becomes a 1940s Jazz lounge, with occasional live bands, themed evenings and the sounds of the 40s. They hold an Eat Out Eat Well Silver Award for their healthy choices on offer. 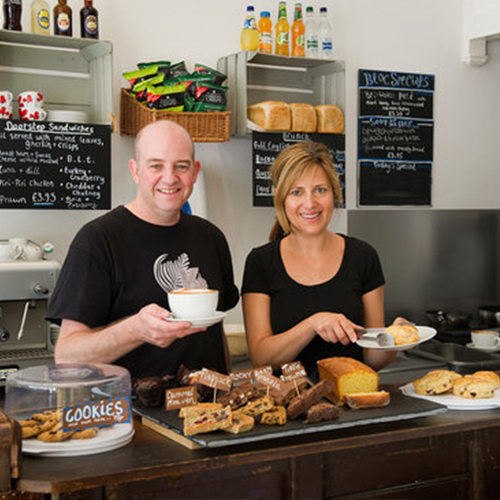 Glebe Farm Tea Room is a family run business which has developed from being a small farm shop into the hugely popular Tea Rooms you will find today. All food served within the Tea Room is homemade, from their made to order Farmhouse Brunch to a Traditional Sunday Roast Dinner. Accompanied by homemade desserts and home baked cakes they have built a reputation of serving the highest standard of food whilst providing views over the rolling Northamptonshire countryside. They hold an Eat Out Eat Well Silver Award for their healthy choices on offer. 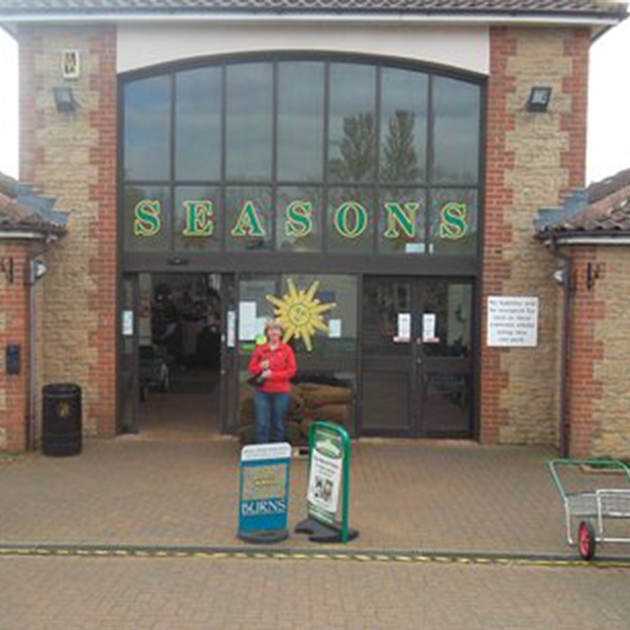 Based at Seasons Garden Cetre in Burton Latimer, the coffee shop, Seasons Fayre, serves everything from steaks to bakes, fish to special dishes, cakes and fruit pies. You’ll also find homemade scones, chocolate bars, hot and cold drinks, hot roasts on a Sunday to afternoon tea with clotted cream, catering for all dietary needs. Based on Dovecote Farm in the countryside of Newton, near Kettering, you’ll find a family run restaurant, farm shop and Pick Your Own fruit farm that strives to offer high quality local produce. The restaurant and farm shop are open all year round and offer an array of fresh fruit for P.Y.O during the summer. They hold an Eat Out Eat Well Silver Award for their healthy choices on offer. 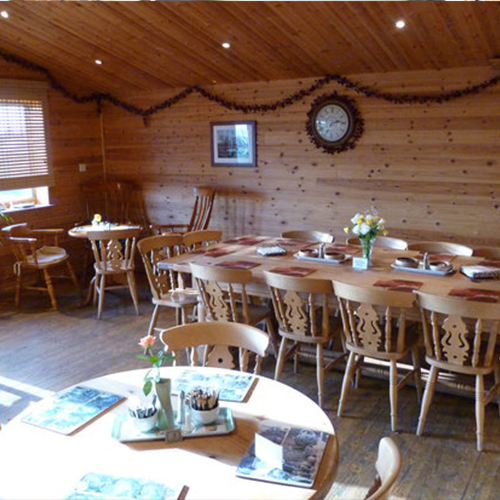 The Old Forge Tea Room, set in the charming village of Cranford, serves breakfast, lunch, cream teas and homemade cakes. Highlights include homemade soup, hearty sandwiches, wraps, quiche, chilli, and daily specials. 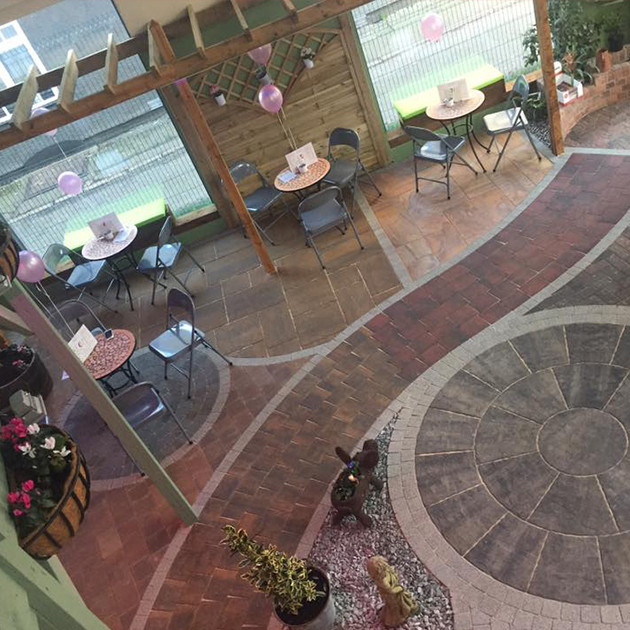 The beautiful coffee garden is a unique setting right in the heart of Image Group’s landscape showroom in Kettering town centre, giving you the feeling you’re sitting in the garden, whatever the weather. Sandwiches and cakes are available, freshly homemade local companies. The Coffee shop serves freshly ground coffee, a small selection of teas, plus a choice of cold drinks. 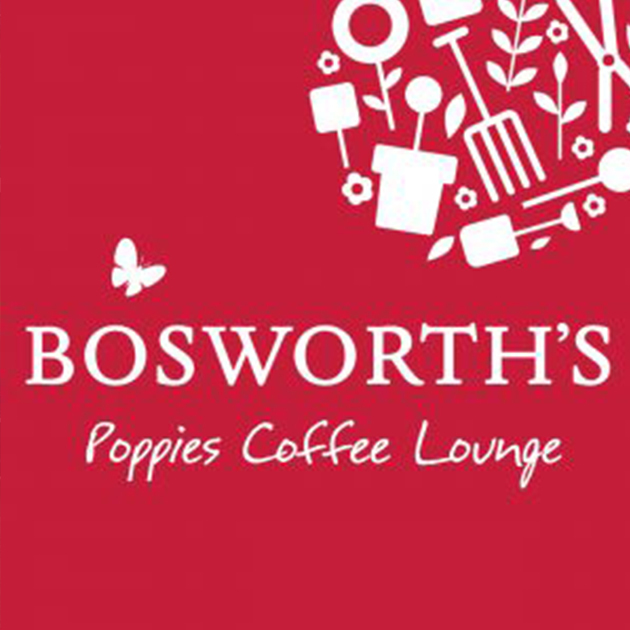 Poppies Coffee Shop opened in March 2007 at Bosworth’s Garden Centre in Burton Latimer, and has been a phenomenal success with its relaxed atmosphere and range of light lunches, teas and Coffees. The menu is based on freshly made meals with everything made to order using ingredients delivered in daily from several local suppliers. They hold an Eat Out Eat Well Bronze Award for their healthy choices on offer. 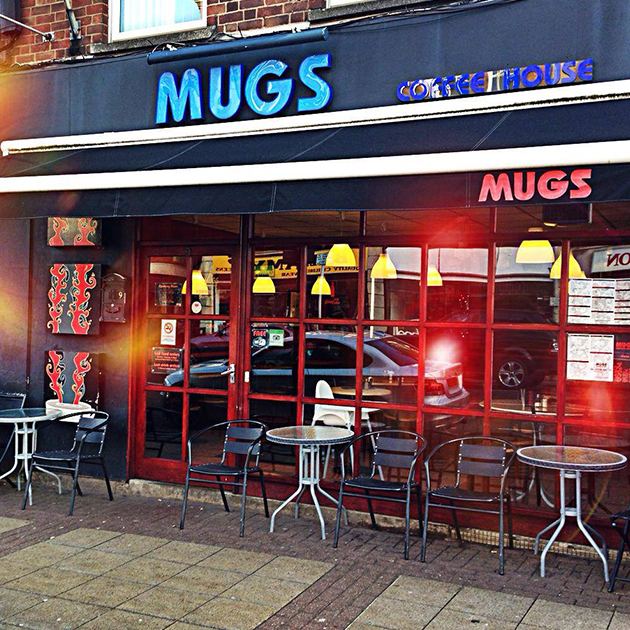 Mugs Coffee House offers coffees, teas, hot chocolates, milkshakes and food in the centre of Kettering. They hold an Eat Out Eat Well Bronze Award for their healthy choices on offer. 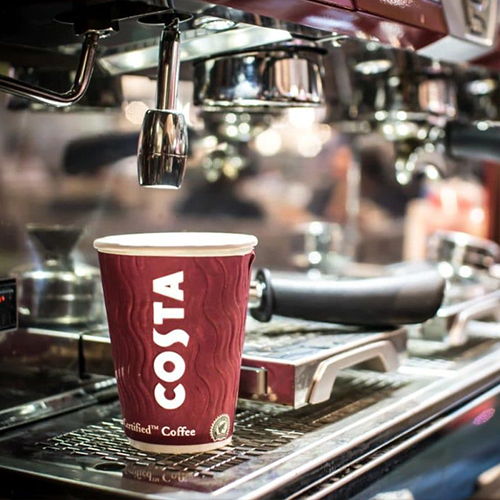 Costa Coffee is the largest and fastest growing coffee shop chain in the UK with two shops which can be found in Kettering town centre.